Click the button below to add the Flat Panel Door Primed to your wish list. Great products and service, glad I found you on the net. The cabinet door I ordered is for a bathroom storage area and an unusual size. The folks at cabinet door world did a great job; the door is the perfect size and looks beautiful. It will hold up well to years and even decades of use in a high use area. It was convenient to order online and the price was very fair. Build and ship took about 30 days which is not bad considering I ordered around Thanksgiving. The item was also well packaged so no damage in shipping. 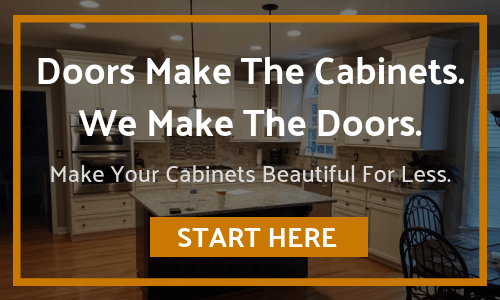 I would recommend this company to all in need of customized cabinet doors. Thank you! This was my second order with Cabinet Door World. I ordered some door and drawer fronts to remodel my master bath vanity and it turned out so well I decided to do the guest bath also. All the measurements were exactly as I had specified and the craftsmanship is very high quality. The order was processed and shipped promptly too. I am a very satisfied customer! I had some bathroom cupboard doors that were bad and wanted to just replace the doors. I found this company on the internet and they would build and prime the doors the size that I needed. They arrived well-wrapped and were beautiful! Just what I needed and all I had to do was paint them to match my existing cabinet.